The tales of the Mountain Man represent the best of the Western genre in all its thundering glory-and few gunfighters are as compelling, or as deadly, as Smoke Jensen. 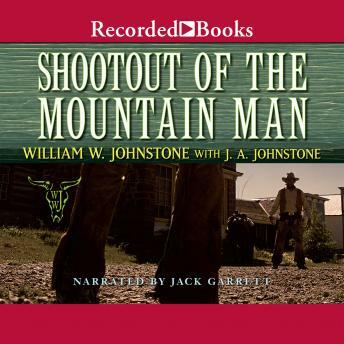 In Shootout of the Mountain Man, Billy Ray Cabot is set to hang, but the people planning to string him up haven't reckoned on his old association with Smoke Jensen. As loyal as the trees are tall, Smoke will move Heaven and Earth to save a friend-even if it means riding into a bloody war that's sure to mean the death of more than one man.